On Tuesday we did some visiting. 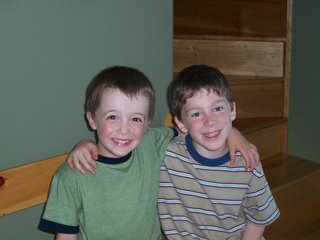 Tyler & Tristan went to New Minas Childrens Centre together from around 20 mos. to approx. 4 yrs. They were great little friends. They were so happy to see each other. They ran off to play in no time. Tristan has invited Tyler for a SLEEPOVER on Saturday.